Mike LaBeau was born in 1945 in Lincoln Park, Michigan. 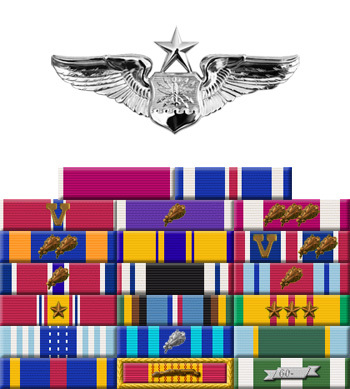 He was commissioned through the Air Force ROTC program on June 3, 1967, and went on active duty on July 31, 1967. LaBeau completed Undergraduate Navigator Training in May 1968, and then served as a B-52 Stratofortress Navigator Bombardier and Radar Navigator with the 716th Bomb Squadron at Kincheloe AFB, Michigan, from April 1969 to December 1972. During this time he flew ARC Light missions from Andersen AFB, Guam, from February to August 1970, and again in December 1972, where his B-52 was shot down over North Vietnam on December 26, 1972. LaBeau was immediately captured and taken as a Prisoner of War, and spent the next 93 days in captivity before being released during Operation Homecoming on March 29, 1973. He was briefly hospitalized at Wright Patterson AFB, Ohio, before serving as a Staff Officer with the 3902nd Support Squadron at Offutt AFB, Nebraska, from August 1973 to September 1974. 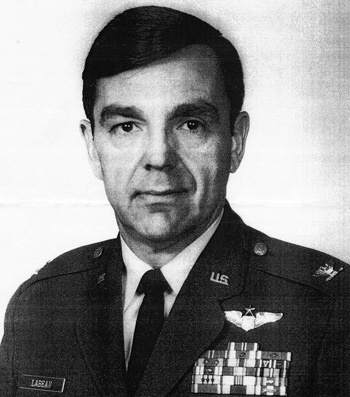 Capt LaBeau next completed FB-111 combat crew training in May 1975, and then served in testing at Wright Patterson AFB, Ohio, until his retirement from the Air Force on December 31, 1993. Mike LaBeau currently lives with his wife Linda in Texas and works for Lockheed Martin in Fort Worth.